Children have buckets of endless energy and enthusiasm. Getting children involved in fundraising can be an educational and inspiring experience, harnessing that energy to teach them about the values of compassion and giving. Prior to starting fundraising with your children, consider their unique needs and perspectives. Children love to have fun, but they are also curious and keen to make a difference. Fundraising in a way that is both approachable and engaging is key to involving children in fundraising. Fundraising is a fantastic way to teach children of all ages about the world in which we live. However, care must be taken to explain fundraising and charity in a way that will make sense to children. Before you involve children in your fundraising efforts, have a discussion about your charitable cause. Children are surprisingly aware of their surroundings, and if a situation is explained in terms that make sense to them, they will likely be excited to help on their own. When you explain fundraising to children, make sure your conversation is child-centred and age-appropriate. For example, if you are explaining a children's cancer charity to a very young child, you might simply tell them that their efforts will help a child their age who is sick. However, if you're explaining the charity to older children, you can elaborate and explain more about cancer and the ways it affects families. Above all, always ensure that what you're saying is understandable, appropriate and not overwhelming. Setting realistic goals is important in any fundraising endeavour. Children especially love to see themselves making progress, so make sure to set clear goals when you involve children in fundraising. To track a child's fundraising, create a way to measure and show their progress. Make a chart with stickers for every pound raised, or draw a “Charity Thermometer” that grows right along with your fundraising efforts. Children and adults alike will be happy to see that their work is making an impact and they'll be inspired to continue. Putting the “fun” back into fundraising is essential to keeping children engaged in the process. While fundraising is a wonderful educational experience for children, it's important to remember that children also like to have fun. Don't ask children to do menial fundraising tasks; they'll be much more excited to help out if you give them something fun and creative to do. If you have a set of tasks that need to be completed, create ways to make these jobs fun. Even boring tasks like stuffing envelopes can take on a new level of fun if children are allowed to decorate the envelopes while the adults do the rest! 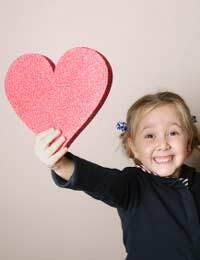 Involving children in charitable fundraising is a great way to teach them the values of sharing and giving. Children love to know that they are making a difference in the world, and getting them involved in fundraising is a fantastic way to accomplish these goals. When you get children involved in fundraising, make sure it is fun and meaningful. Explain the charity to the child and ensure they understand how that charity helps people. Allow them to tell you how their fundraising will help to change the world around them. Also, set realistic goals and keep track of the children's progress, encouraging them to continue. Most importantly, give each child a fundraising task that is not only fun, but also make sure they understand how their work is helping. Children love to have fun but they also like to know that what they're doing is important. They will reward you - and your fundraising cause - with their energy and enthusiasm!